Thinking about investing in something for your business? Using your hard earned money to purchase something for the biz can be hard, especially when you are starting out. In this episode, we chat about the different types of investments you can make and why you might want to make one. We’d love to hear what you are investing in? Come join us in the Facebook group to hang with other product biz owners just like you! We can’t wait to meet you! Finally! Accountability groups for product based business owners! 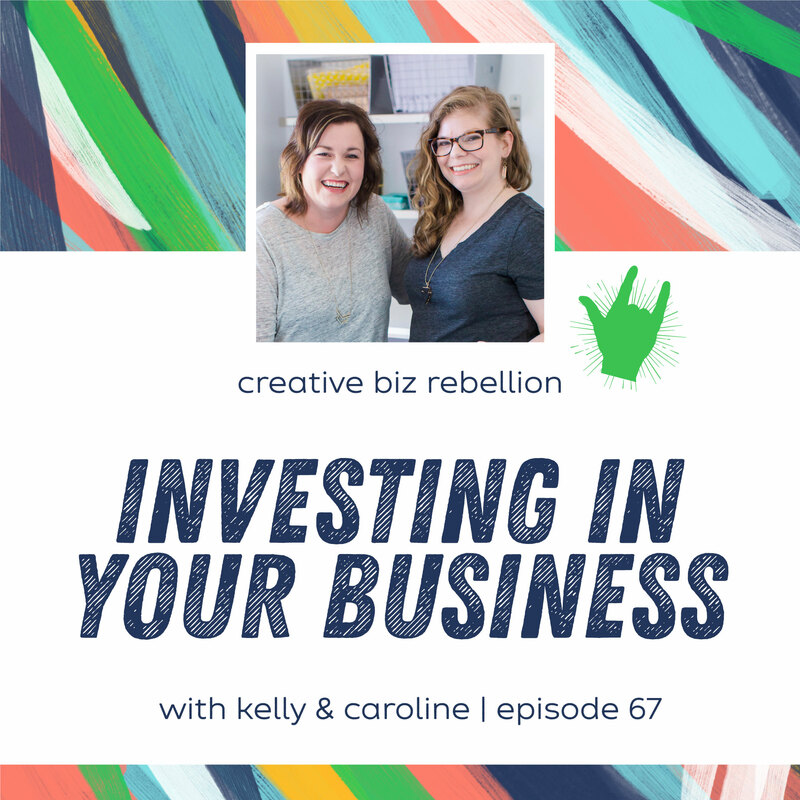 Join us, Kelly & Caroline from Creative Biz Rebellion Podcast, for monthly discussions around topics that are specific to product based business owners. We will help you filter through the crap to help you and the members of your Rebel Session totally rock your product based businesses. Each Rebel Session will consist of 4-6 product based business owners including one of us – we want accountability buddies too!